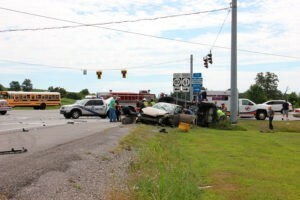 Several people where transported for medical care following a five-car wreck on the bypass Friday. The Columbia Police Department reports that the accident started when the brakes on a trailer failed to work for a 2003 F250 being operated by Blake Milby, of Mount Sherman. Milby was traveling north approaching the intersection of the bypass and Burkesville Street when the incident occurred. He struck a 2007 Ford Edge in front of him being driven by Monica Janes, of Columbia. Janes’ vehicle was propelled into the intersection and was struck by a 2008 Chevy Malibu that was traveling south and operated by Beverly Burress, of Elkhorn. Janes’ vehicle overturned on impact. Milby’s truck continued and struck a fourth vehicle involved in the collision, a 2005 Ford F250 truck that was traveling south and had a boat in tow. The truck was operated by Stuart Secuskie, of Louisville. Secuskie’s truck then struck a 2017 Nissan Altima that was also traveling south. The Altima was driven by Rebecca Redmond, of Columbia. Milby, Janes and Burress were treated at the scene by Adair EMS and transported to T.J. Health Columbia. Janes was extricated from her vehicle by the Columbia-Adair County Fire Department. Sgt. Jr. Murphy is investigating the accident. 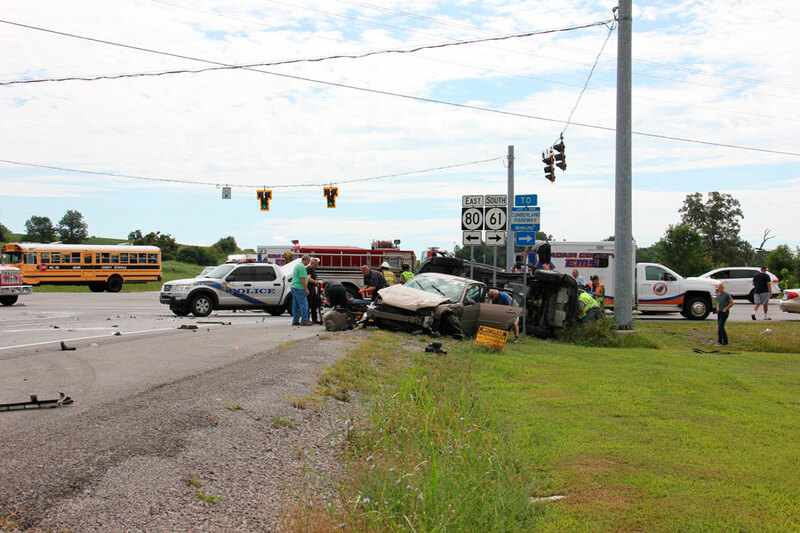 Adair County EMS, Adair County Sheriff’s Department and Adair County Fire Department provided assistance on the scene.